I've always been a pretty decent typist. I flew through my computer classes in High School, mainly because my Dad was an electronics technician so I'd been exposed to computers pretty much since birth. But I was unsure how to actually go about teaching typing within our homeschool. I knew we needed to do it because we do a lot of stuff on the computer already and I'm sure that will only increase as the kids get older. We've tried one or two things in the past but nothing has really ended up sticking. 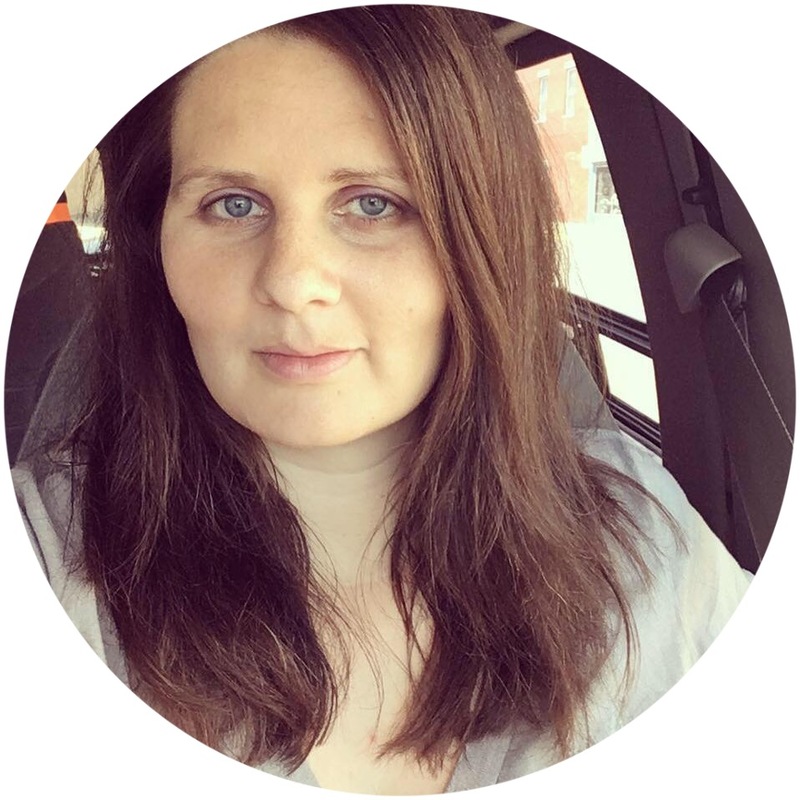 I was approached by a blogging acquaintance to give Keyboard Classroom a chance and thought it was worth a try. 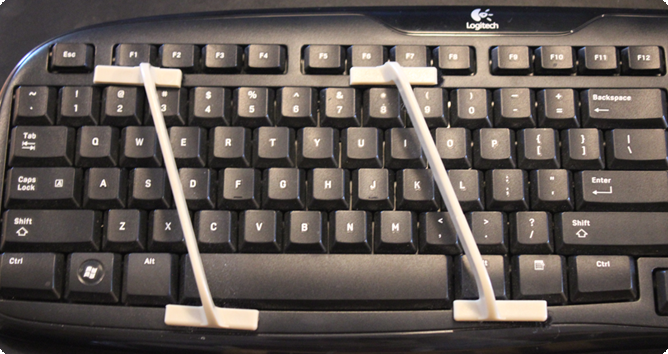 The Keyboard Classroom program uses "finger guides" that attach to your keyboard with Velcro to help your child keep their fingers in the right position for typing. The guides are easy to install and don't take much time to get used to. I found that the finger guides were especially nice for my very busy eight year old who is constantly fidgeting and moving. There are five levels in the program: Typing Finger Trainer, Typing Words, Home Stretch, Capital Stretch, and Typing Sentences. Typing Finger Trainer teaches where to put your fingers and where each key is located. Typing Words teaches the "home keys" (essential to mastering typing) and has 30 levels. Home Stretch has students type three letter combinations to practice stretching and returning to the "home keys." It has 25 levels. Typing Sentences combines all that was learned in the previous levels and teaching simple sentences. It has 20 levels. After mastering Typing Sentences, Capital Stretch teaches the use of the shift key. The program monitors how you are doing and moves you along accordingly. Students earn tokens by working through the levels. They can then use the tokens to play games in the arcade. They also "level up" in rank, ranging from Cadet up to General. Keyboard Classroom has a guarantee that if your child practices for 15 minutes a day for 6 months that they will become a proficient typist. You can purchase a single user license for $39.95. They also offer a dual license for $75, a 3-user license for $114.95, and a 5-user license for $199.75. All licenses include the finger guides but you can also purchase them separately for $15. 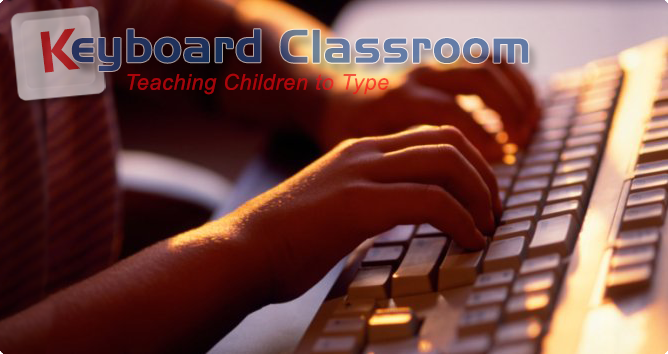 To purchase Keyboard Classroom or read more about it, please go HERE. NEW UPDATE I JUST RECIEVED (2/2014): A Single User License plus FREE Finger Guides is $39.95 and can be reused by other students once the first student is done. You simply erase their data and start a new data file. Our new Family License with FREE Finger Guides is just $49.95 that allows you to have up to FIVE users simultaneously! Disclosure: I received a copy of this program in exchange for my honest opinion and review. This post does contain affiliate links.